Calling all chicken wings lovers!! 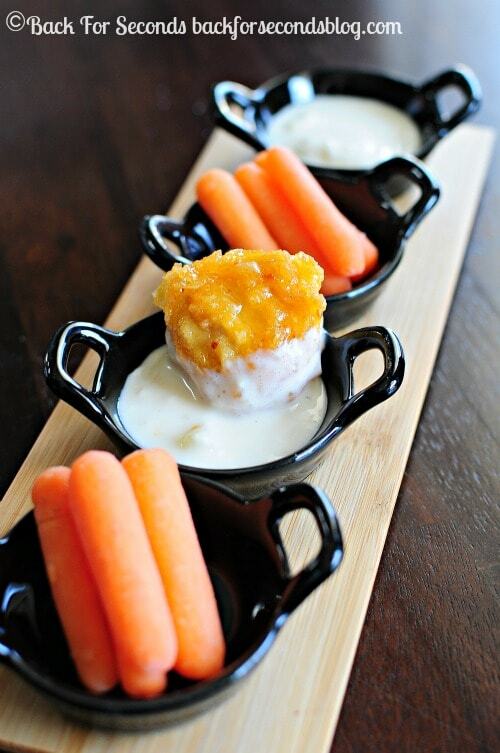 I have a fabulous dip for you that will make your favorite snack food even more irresistible. 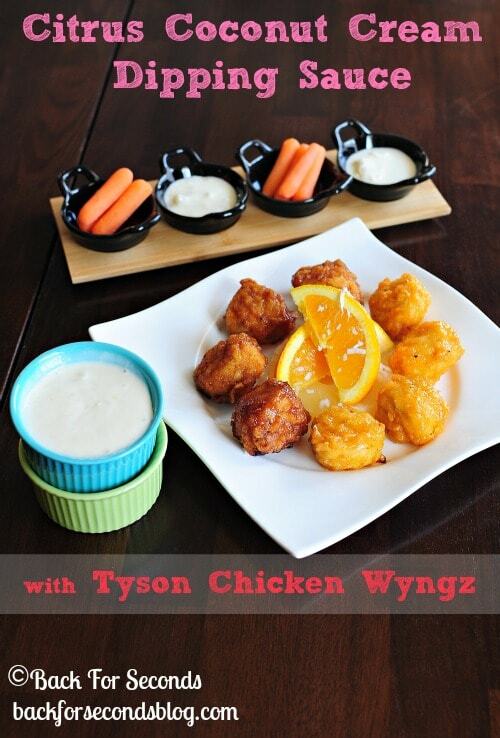 Citrus Coconut Cream Dipping Sauce is Tyson Any’tizer’s new BFF! 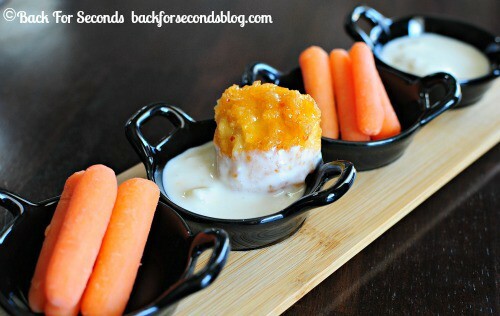 Whether you’re planning a party, or you just want a fun easy meal, this Citrus Coconut Cream Dipping Sauce paired with your favorite chicken wings is lip smackin’ good! 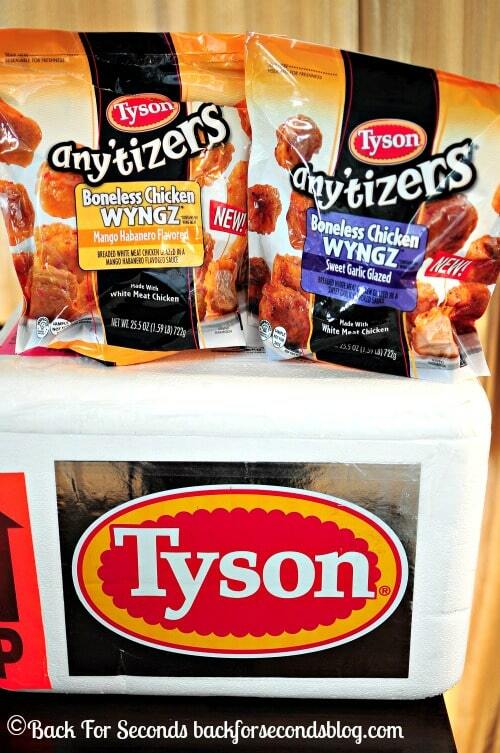 I had the opportunity to try Tyson’s new Any’tizers in Sweet Garlic Glazed and Mango Habanero. They are both really good – the high quality chicken you expect from Tyson, and exciting fun flavors! My kids loved the sweet garlic and me and my hubby loved the kick from the mango habanero. Follow Back for Seconds and never miss a recipe! Connect with Tyson on Facebook and Twitter! That sounds like such a good sauce!!! Um…delicious! I so need to make this! It sounds like it would be amazing over some chicken and rice! Yum, that sauce looks so good! Thanks!! what a cool and refreshing dip to have with some spicy wings. It sounds so tropical too. Thanks for sharing on Thursdays Treasures.